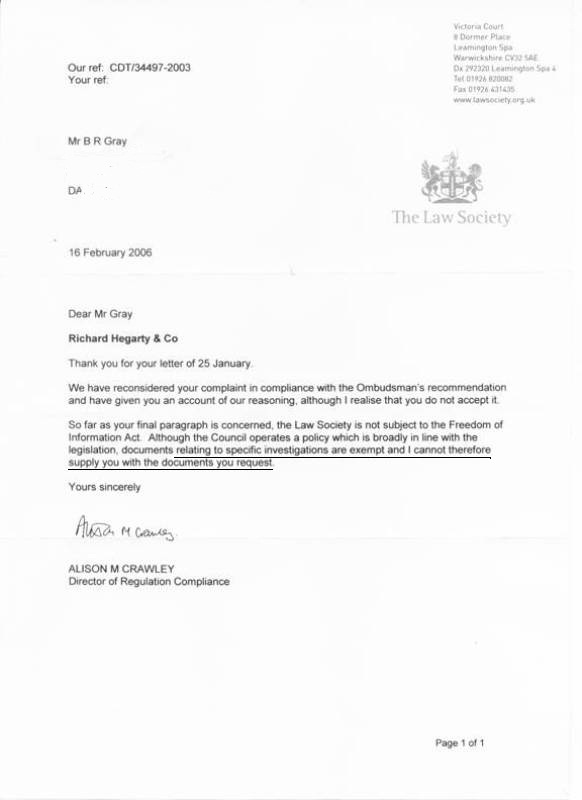 In the second paragraph of this letter it can be seen the Law Society are not bound by the 'Freedom of Information Act', quote; "..., the Law Society is not subject to the Freedom of Information Acts." so they can and do carry out investigation into complaints behind 'closed doors' where the complainant will not be told anything the solicitors say in their own defence. All they have to say to the complainant is: - "the solicitors indicated..., and this information did not raise any issues for us to be concerned with".